1. Llama Love. 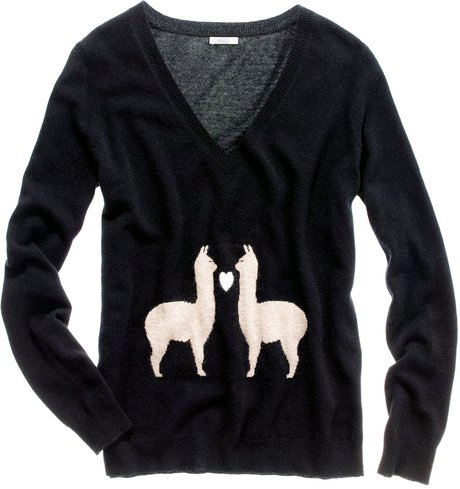 Arguably the most coveted and unattainable item Madewell ever produced is the Llama Love Sweater. It came out two years ago and sold out immediately, leaving many sweaterphiles crushed, myself included. I almost fainted when I saw it on the back left rack: I thought it was a fashion mirage (I see no logical explanation as to how it ended up there). I may have shed a tear when I read the $35 price tag (it was originally $88 and the few that ended up on eBay went for upwards of $200). It was a sample sale miracle that is without question my favorite find of the year. Do not miss that back left Madewell rack. 2. There are current and classic goods. While my most favorite item is two winters old, there is plenty of current and classic apparel to be found. J. Crew Tippi Sweaters, current season drapey boyfriend and bejeweled wool styles as well as Madewell’s warm and quirky print wares for $35 a piece are stand out deals, and J. Crew collection cashmere can be had for $90. 3. Replenishment. They have an outrageous amount of inventory and they are continually restocking as merchandise is sold, so even if you can’t make it there on the first day, you won’t be left with slim pickings. Chances are, if you didn’t see what you wanted the first time around, it might show up during a second trip. 4. Jewels. To the left of the cash wrap is the jewelry counter featuring an unreal selection of new, old, and classic J. Crew and Madewell baubles perfect for holiday gifting. Bangles are $15, earrings $25, embellished bracelets $35, and statement necklaces are up to $60. 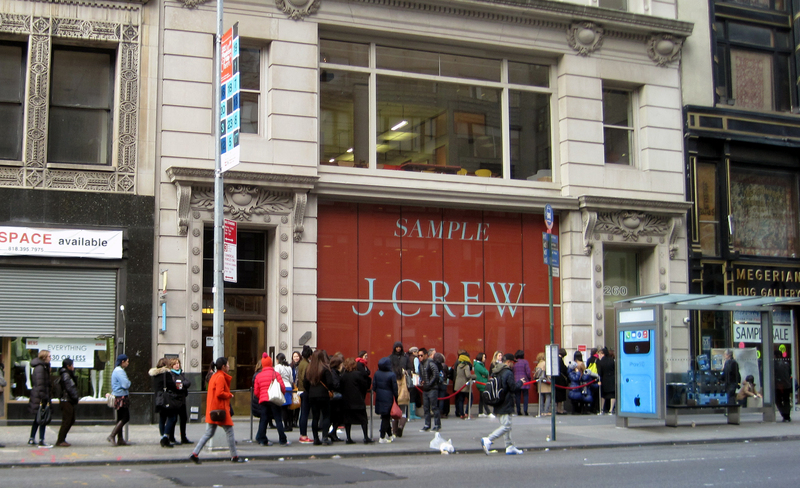 None of it could be had for less even during J.Crew’s extra 40-50% off promotions. Best of all, there is a ton of merchandise, and not just fugly stuff no one wants, but some seriously want worthy sparkly things. The miss manning that section told me that they have so much stock, and will be continuing to bring out the best throughout the day. Again, no slim pickings there. 5. Shoes. Summer shoes (sandals, espadrilles) and flats are $65, while heels are $100, and boots range from $100-$150. 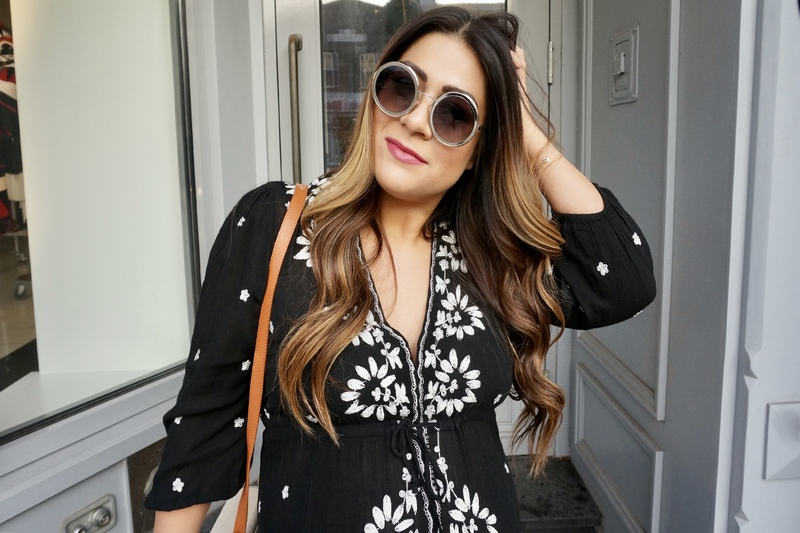 The key here is that, once again, they have a ton of styles and sizes to choose from, and you won’t see a sea of pastels and castoffs, they offer desirable colors and cult classic glittered pumps. Do your research. Just because it’s a sample sale and there was a line to get in, that doesn’t mean that everything in there is the best deal. For example, I saw a top I got on clearance for $15 priced at $40, and a couple of the coats (most are $150, collection ranges from $300 and up) are actually less online with the extra 40% off for J. Crew card holders (30% for non members). Same thing with shoes: some colors may also be lower with the WINTERSALE coupon online. 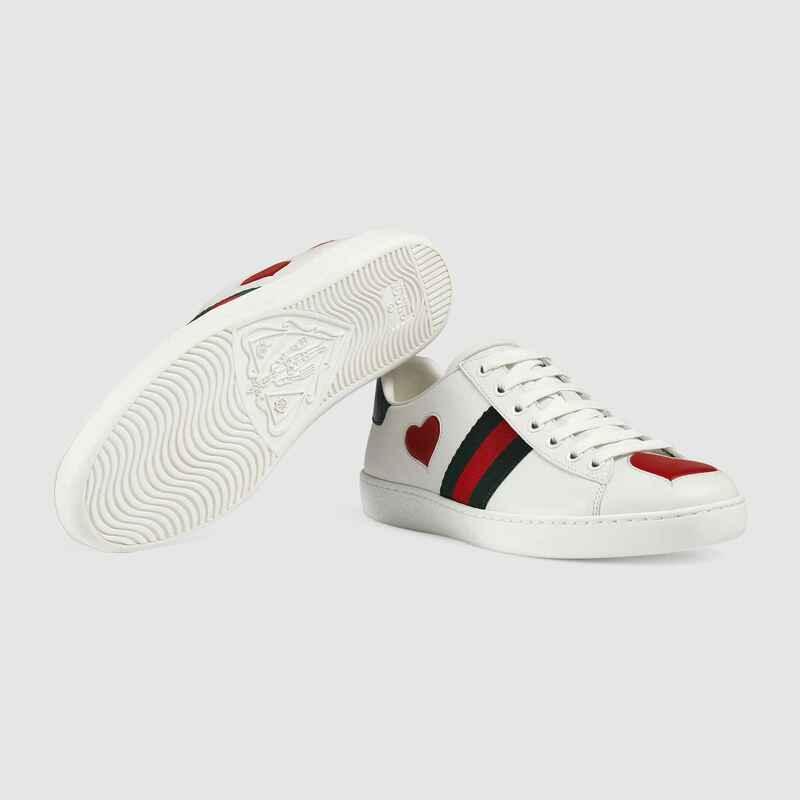 So before you pull out your Amex, do a quick price check on your phone or look up the items you’re looking to score online before you head out the door. There are no mirrors. None. A salesgirl informed me that “they had all of the mirrors taken out to make room.” Who are these mirror snatchers? Anyway, bring a friend or stash a mirror in your bra or pocket or use your phone to take pictures. I didn’t know this important detail going in, so I buddied up with a fellow sample saler by giving her a sweater she was eying in my pile and we took pictures of each other with our phones. Leave your baggage: You may remember from a few seconds ago that I advised you to stash a mirror in your bra. In traditional sample sale form, you will be forced to check your bags as well as your coat when you enter. Leave your Chanel or Celine or whatever C name your slinging these days and bring a lightweight large reusable tote you don’t care about to hand over and to stash your booty in afterward. They will give you a shopping bag if you choose to show up bagless. Prime Times: Based on my experience and research with this particular sale and location, I recommend going at 11AM or after lunch circa 2:30. This could mean the difference between waiting in line for 2 hours and or 10 minutes. Tuesday, December 3 -Thursday, December 5, 10 a.m. to 8 p.m.
Friday, December 6 – Saturday, December 7, 10 a.m. to 9 p.m.
Sunday, December 8, 11 a.m. to 5 p.m.
Quick reminder that it is Giving Tuesday, so if you didn’t donate your time or money, be sure to clean out your closet (especially if you took advantage of any sales over this past weekend) and donate to your favorite charity. I’m dropping bags off at Cause for Paws. Share any scores or favorite charities in the comments! Awesome post! So lucky you live in NYC and get to go to this sample sale Brittni! Thank you! So glad you like it. I am thankful every day to live in the greatest city in the world. And not just for the shopping! I CAN’T EVEN believe my eyes. My stomach did a quick flip when I saw your comment, and then my heart sank when I realized that I don’t live in NYC and already have a commitment for the weekend here in Boston. I don’t believe a luckier person exists on this planet right now, you go girl! Ps. If you decide the sweater isn’t for you, I have a really good home for it 😉 !!!! My hunt CONTINUES! You’re an ANGEL! kmloeffler@gmail.com if you do happen to make it back and find one, I would DIE. And you’re right on about the ebay alert. Hope you’re enjoying yours!